An antique dealer headbutted her father in a rage when she could not find her pet snail, a court heard. Kimberly Burns, 28, went ‘ballistic’ when she arrived home and could not trace the missing mollusc. When her father John Burns intervened, she headbutted him in the face, giving him a bloody nose, Westminster Magistrates’ Court heard. Prosecutor Kate Shilton said: ‘Ms Burns’ mother reports that on September 12 Kimberly found a snail. But when Burns returned to her family home in Maida Vale, northwest London, she found the snail had slithered off. ‘On the day in question the snail was not in the house where she left it and she became upset,’ Ms Shilton added. The confrontation was ‘too much’ for the parents, and Mr Burns called the police. In a statement read out by the prosecution, Mr Burns said he would not feel comfortable with Kimberly coming back to the flat as he was scared what she would do. 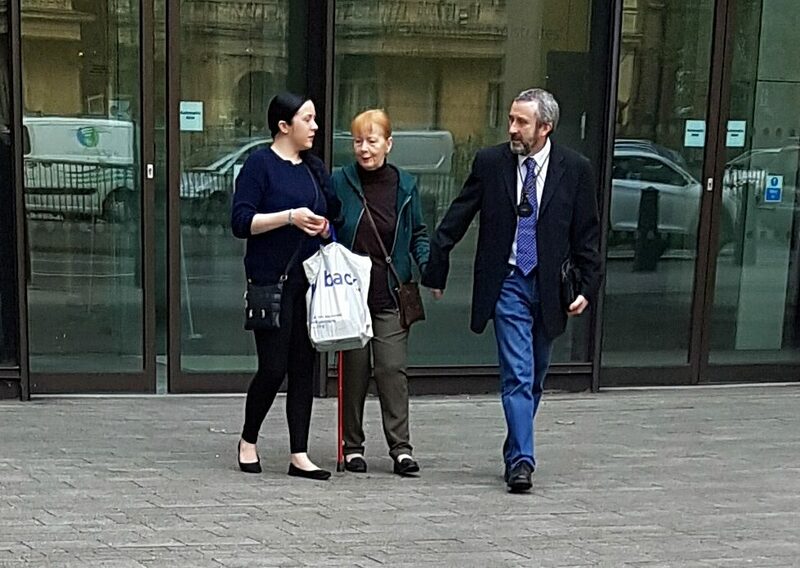 Nadia Dimitrova, defending, said: ‘Ms Burns has pleaded guilty at the first opportunity. ‘She takes full responsibility for her actions, she is very ashamed and distressed that she has caused her parents so much grief over the past five years. ‘She is very sorry that her reactions were out of proportion. Kimberly was convicted for a common assault in April 2015 and has also received a caution for battery. In both incidents, the victim was her mother. District Judge Spyros Elia said: ‘Be under no illusion, one of the reasons we took a fair amount of time reaching your sentence is that we were considering very seriously whether you crossed the custody threshold or not. ‘Be under no illusion, you were very very close to that; these are very serious offences. Burns, of (177b) Lanark Road, Maida Vale, admitted two charges of assault by beating. She was given a 12-month community order and six months alcohol treatment requirement. Burns must also complete 100 hours of unpaid work.